A new generation of tech entrepreneurs are driven to create innovative, software defined hardware products. Product Pro helps navigate the traditional product development process, through industry specific education and resources. These factors have caused an increase in the number of individuals and teams that attempt to create physical products. 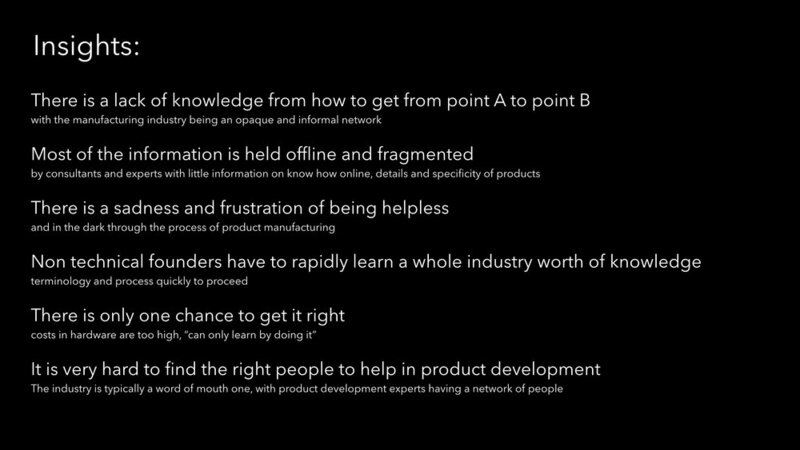 To understand values, motivations and pain points of aspiring product makers. The next step was to pick the right qualitative research methods based on specific questions and prompts.